Our specialists have a laser focus on your pet's eyes. Pets need healthy eyes just like humans. And just like with humans, there are opthalmologists who are specially trained to diagnose and treat eye problems. 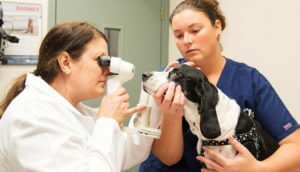 BluePearl veterinary ophthalmologists treat eye conditions like ulcers, glaucoma and cataracts, as well as eye injuries. 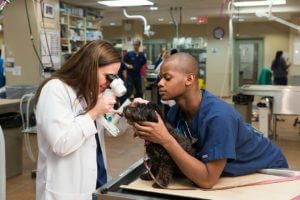 Our specialists use surgical and non-invasive techniques to help your pet retain or restore their vision.